The wonderful thing about life is it is never too late to recapture who we are, even better, become a better version of ourselves. Back in 1999, a band out of Jackson, Tennessee by the name of Full Devil Jacket were rising to the top of the Alternative Metal/Hard Rock world, followed by their gold selling 2000 self-titled major label debut album. Touring with everyone from Creed to Type O Negative, the band was one of the most talked about on the scene until they abruptly ended. With vocalist/lyricist Josh Brown fighting his own personal demons, he all but retired from music until resurfacing a few years later as a part of Grammy nominated act Day of Fire. Still feeling as if he had unfinished business, Brown restarted Full Devil Jacket almost a decade later, and now finds the band on the rise again with their 2015 album Valley of Bones. Recently we sat down with Brown to talk of his new prospective on life, his undying love for creating, plans for the future, and more. CrypticRock.com – It has been a couple years now since Full Devil Jacket has reformed. It certainly has been a long road to get back here. Tell us, what has it been like revisiting the band? Josh Brown – It has been treacherous and exciting at the same time. We did the record together about eighteen months ago. We raised money with Kickstarter to begin the record, and we partnered with eOne to finish the record and put it out. We have made some good changes, now we are on the road, and it is very exciting. CrypticRock.com – It is a good time for the band because you recently signed with eOne Entertainment and are going to be releasing Valley of Bones through mass distribution. Judging by the ups and downs you have had over the past decade, do you feel redemption to see things are re-establishing themselves with Full Devil Jacket? Josh Brown – I do, and I feel it more now because I am different. I have been in this game for many years now. I feel like I have been around the block enough that I understand the way it works. I believe the people around me understand how it works as well. I finally have a team of people that are on the same page. It has been a long test of faith to get this record out. I believed eighteen months ago that we could do a record that would bring interest for the masses to receive it. I do feel a sort of redemption, more so in my whole life, I feel like I am starting over. I feel like I am twenty, but I have twenty more years of experience now. I am thankful for that. CrypticRock.com – That is great that you have that feeling of rejuvenation. It makes for great music as well. Josh Brown – It does. The new record, it deals with a lot of crazy things I was going through. I feel like I have stepped out of a lot of darkness and I have a new prospective on life, and it is very exciting. CrypticRock.com – Fans will be excited to hear that as well. This new record really picks up where the last Full Devil Jacket album left off all those years ago. The record also seems to have a lot of very introspective lyrics that are extremely honest. Did you find writing the material for this album to be therapeutic? Josh Brown – Yes, it is all therapy for me. I was recently talking to a friend of mine who is a tattoo artist, and our job as artists is to give the world our prospective of the way we see things. Whether it be good, bad, or ugly, our job is to be honest enough with ourselves and the world that we can take note of everything as we see it and present it to the world. To me that has been the inspiration for all my art and writing. It is very therapeutic, it is what I was born to do. I love it. Every time I write or pick up a paint brush, I feel alive. 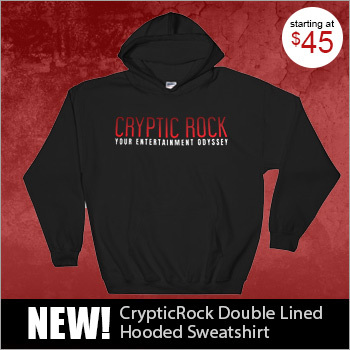 CrypticRock.com – That is great to have that outlet to express yourself. Many people search their whole life for something that special. Josh Brown – Even more so, it is awesome to partner those beliefs in our artistic vision. A lot of the record, they left it to us; The artwork, the videos, etc. 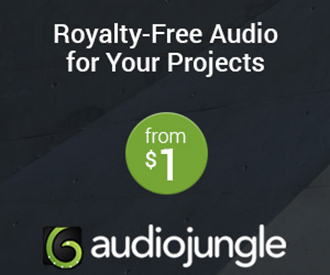 The company partnered with us, and they are helping fund our creativity. It is always a blessing when you can put out music that you enjoy, but it is even better when someone catches that vision and supports it. That is what we feel like we have with eOne. CrypticRock.com – You just completed a run with Drowning Pool and Adrenaline Mob, now you are touring with Hinder. Is it safe to say Full Devil Jacket will be touring a lot in 2015? Josh Brown – Yes, this year we will be touring the entire year. If all things go well, all of next year too. I feel like the team is growing. It started out with us five guys in Jackson, Tennessee, and now, with eOne, it stretches from here to New York. We are going to hope to continue to make those connections all over the world. CrypticRock.com – It seems that things are going well. The lineup of Full Devil Jacket is obviously different in its new configuration. We all know sadly Michael Reaves passed away. How has the chemistry been like with the new lineup? Josh Brown – Fantastic. You can never ever replace someone like Mike Reaves; it is not possible. You do not even try to replace someone like him, he was just a great person and an amazing guitarist. He was a staple of Full Devil Jacket. Even though we wanted to continue his style and legacy with the sound he original brought to the band, we did not try and replace or copy him. We allowed him to influence. The chemistry this time is working great though. You have a lot of Rock-n-Roll guys that have been in the game and realize what is at stake. Everyone is on the same page working together. All of us get high playing music, we love it. When you have everyone working toward the same goal, including management and our video guy, Rob Neilson, you have a team of people working toward one goal. It feels more like a machine. It is a bunch of people I care about and call my brothers. They have been in the trenches with me and it is really cool to see things take off. CrypticRock.com – Excellent, since you guys have been playing together for a few years and have been friends a while, there is obviously a sense of comfort there. Josh Brown – No doubt about it. In this business, it is not for the faint of heart or weak, it is treacherous business. The guys who are not serious, who cannot handle it, are the guys you cannot trust. They reveal themselves overtime. This lineup of people are who I grew up with. I know they are solid and I know who they are. I am in a brand new place in my life. CrypticRock.com – That is all good news. Obviously a lot has changed in the Alternative Metal/Hard Rock scene over the past decade plus. The way people obtain music, the way people listen, etc. What do you find to be the main difference now from when Full Devil Jacket first began? 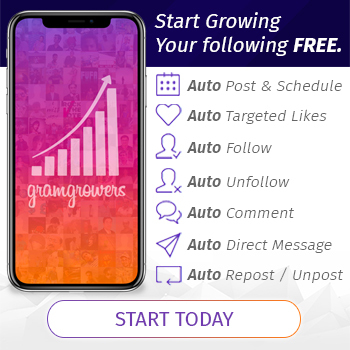 Josh Brown – The industry itself has completely changed. The way the bands get their music out to fans, even fan access has changed. I love the way it is now. I have never been one who used credentials to create barriers between me and people who spend their hard-earned money on music. I have always appreciated the fact that someone spends ten dollars, who worked hard for it, that is special to me. I come from the South where there is not a lot of money down here, and there may not be a lot of great jobs. When someone puts up the money for a ticket to a show and buys a t-shirt or CD, it means a lot. Now, I spend my time connecting with my friends, fans, and family on the internet. CrypticRock.com – Things are a lot more accessible. Maybe it is a little more fan friendly. You can reach out to a band relatively easily now. Josh Brown – Yes, it is really cool to me how someone can reach out to me and let me know how a song affected their life. Hearing how it helps people really brings me joy. You never know what effect art can have on someone. It is a very cool thing to see. CrypticRock.com – That is certainly special to hear how your music may help others through a tough time. Last time we conversed, we discussed Horror films. Have you seen any new Horror movies lately? Josh Brown – I watched Exorcism of Emily Rose (2005) recently. I saw The Conjuring (2013) and Dark Skies (2013) as well. Just a side note, psychologists have examined the similarities between people who have had a visitation from extraterrestrials and demonic possession. When I watch movies like that, they are horrifying because it can be real. Those two films are definitely newer ones that are well done. I was recently talking about Horror movies and how they really depended much more on the script as well as art of fear. It was not necessarily about everything you revealed, but about what you choose to reveal that made the movie so horrifying. I definitely miss that aspect. A movie like What Lies Beneath (2000) really uses the art of Alfred Hitchcock. It is all about what you reveal and when you reveal it. I dig that and think it is really cool. CrypticRock.com – Agreed. There is a certain suspense about that older classic style. That is something you see more often in independent Horror films nowadays. The more mainstream films often are overly gory, where independent films try and recreate an atmosphere. Josh Brown – I would take that same perspective and look at music videos nowadays. The budgets are not the same anymore with music videos. When I was coming up, if you wanted a great video, you would pay a lot for it. Now, people are spending less, because that is just the way it is. It is cool to me because you have to really go back to concepts and the art of making a movie or music video. That excites me, because when you ave a limited budget sometimes you depend more on the creativity than the budge. The creativity is what we are all drawn to and what we are all looking for. I think it is a very exciting time to be an artist and make music. It is not all about the big budgets anymore, it is about doing what you were made to do.